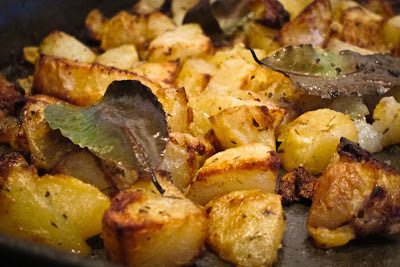 I've tried a few different flavours so far, but this was the first time I thought of adding some lemon to my roasties. So now it's definitely a new go-to recipe. - Preheat the oven to 200 C degrees. Mix all the ingredients (except the potatoes) in a bowl. - Place the potatoes on a non-stick baking dish and add the rest of the ingredients. Give them a good toss so everything is coated. - Place in the oven and bake for about 50-60min or until the potatoes are golden brown and crispy. Baking times will vary depending on how big the potato chunks are. Make sure you toss them every 15min, so they get evenly roasted. Enjoy!